When I saw Holly's recipe for Snickerdoodles, I knew I had to have some gluten free. When I went to Walmart, I expected to be able to pick up a box, but there were none on the shelf. 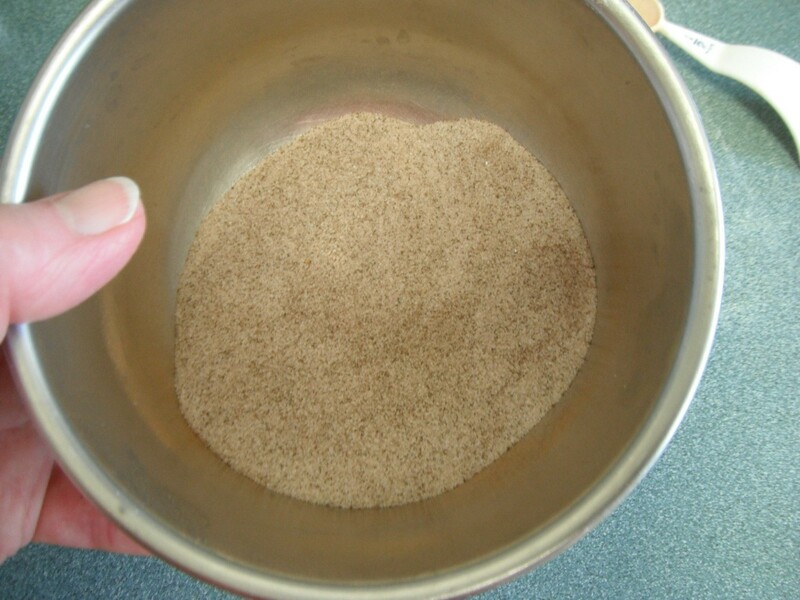 Folks with Celiac disease must have seen Holly's recipe. The urge kept hitting me. I couldn't get them off my mind. 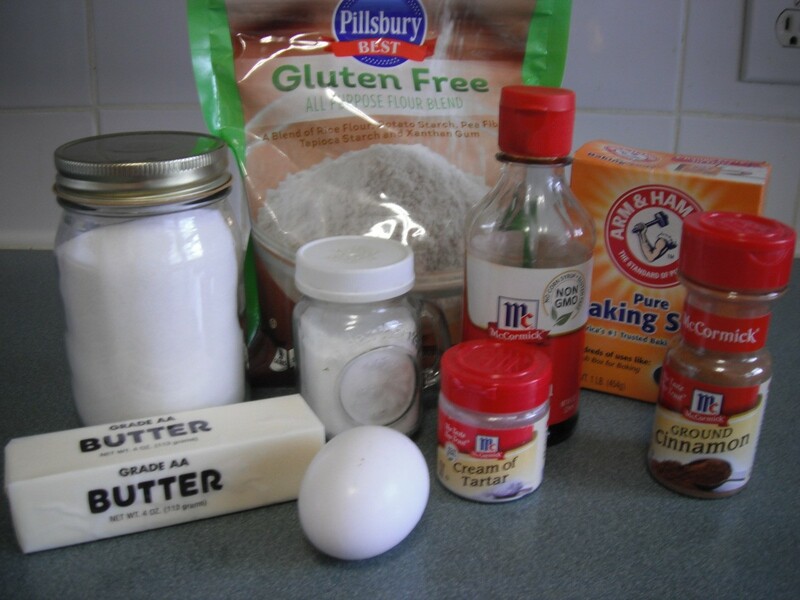 So I searched the internet for a gluten free recipe, and found this one to try. I made some changes in the steps but the ingredients are the same. 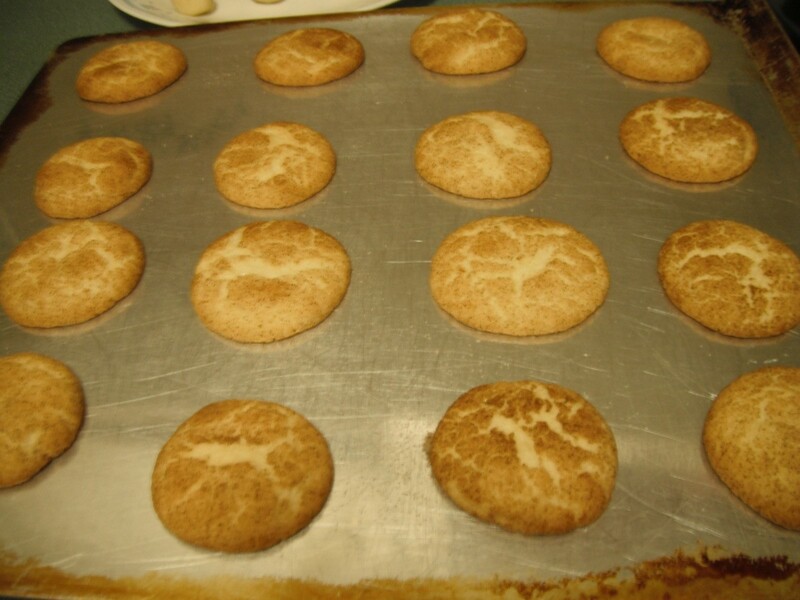 This was my first time making gluten free Snickerdoodles. They came out perfect. Just as good as the store bought ones and probably much cheaper. This recipe will be a keeper for me. This is a crisp cookie and goes well with a glass of milk or cup of coffee. I did the math and figured each cookie is approximately 55 calories. I will have to limit my intake so the freezer will be the best place for me to keep them. Out of sight, out of mind. On the other hand, my husband loves them too so they probably won't make it to the freezer. 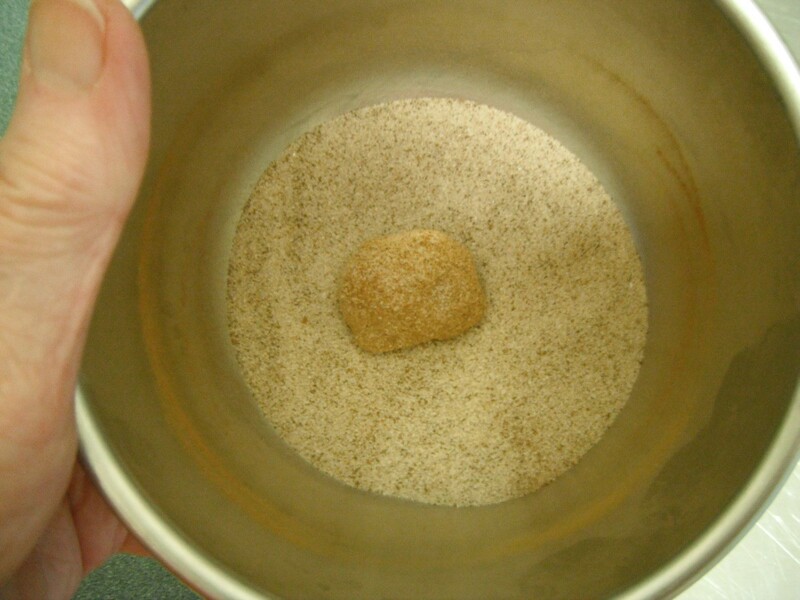 In a small bowl, prepare the cinnamon and sugar mixture for coating, and set aside. 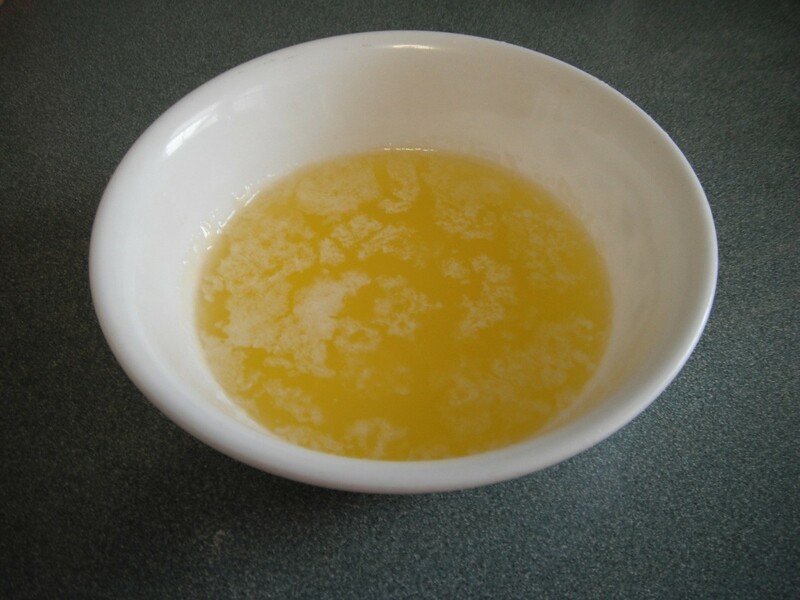 Melt a stick of butter in the microwave. In a medium mixing bowl, combine sugar, melted butter, vanilla and egg. Mix well until creamy. 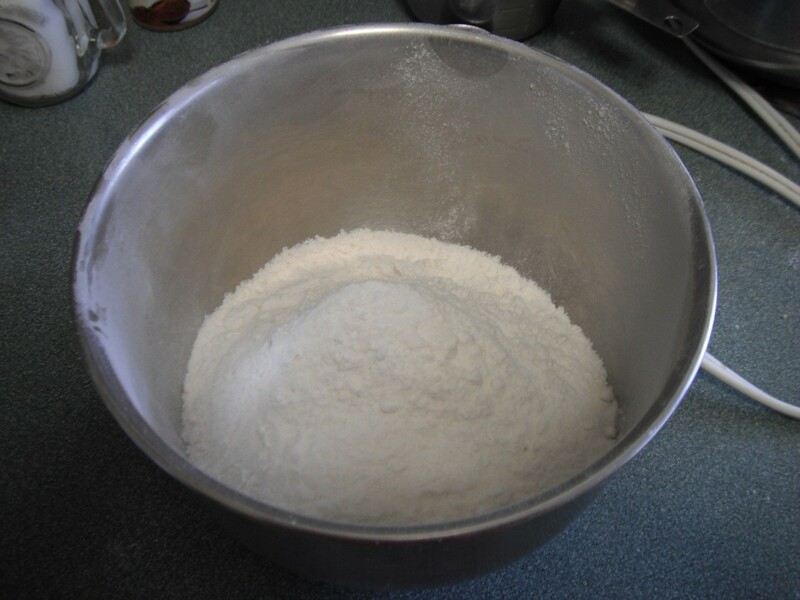 In a small mixing bowl combine flour, cream of tartar, salt and baking soda. 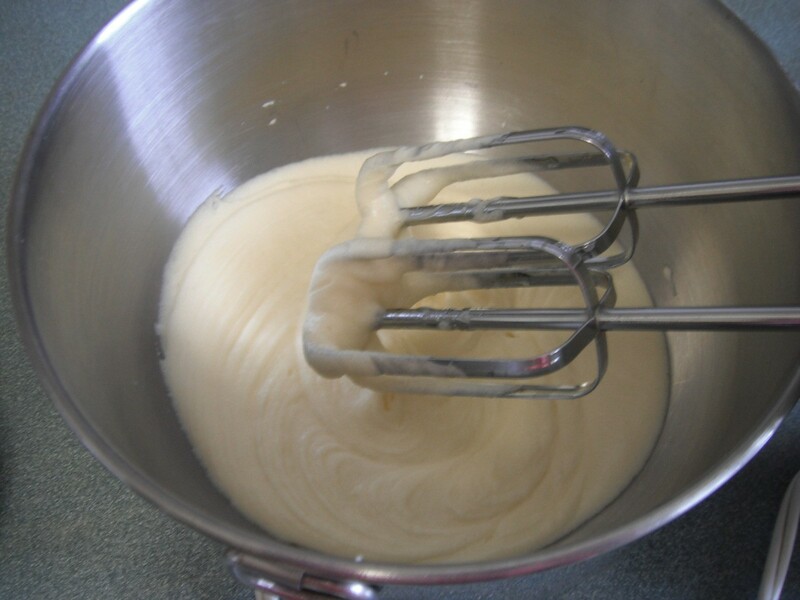 Whisk or sift together. 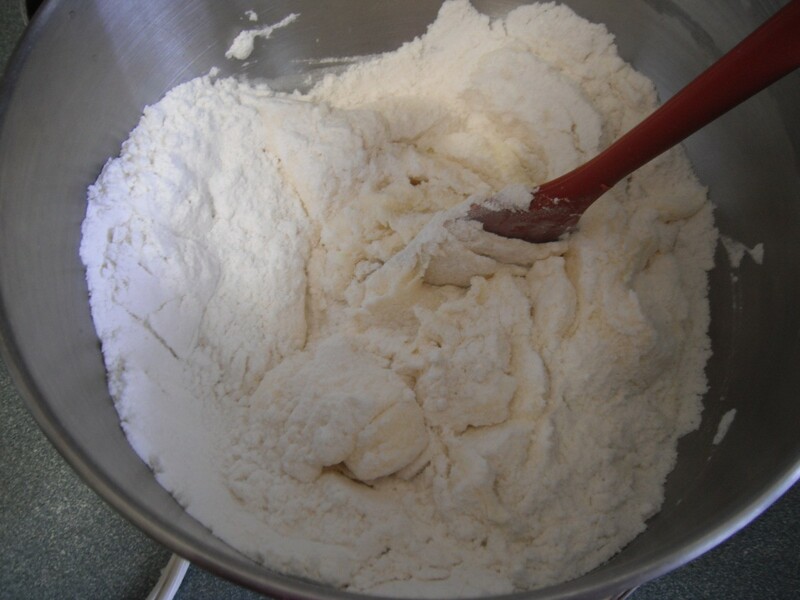 Add flour mixture to other ingredients and stir until well blended. 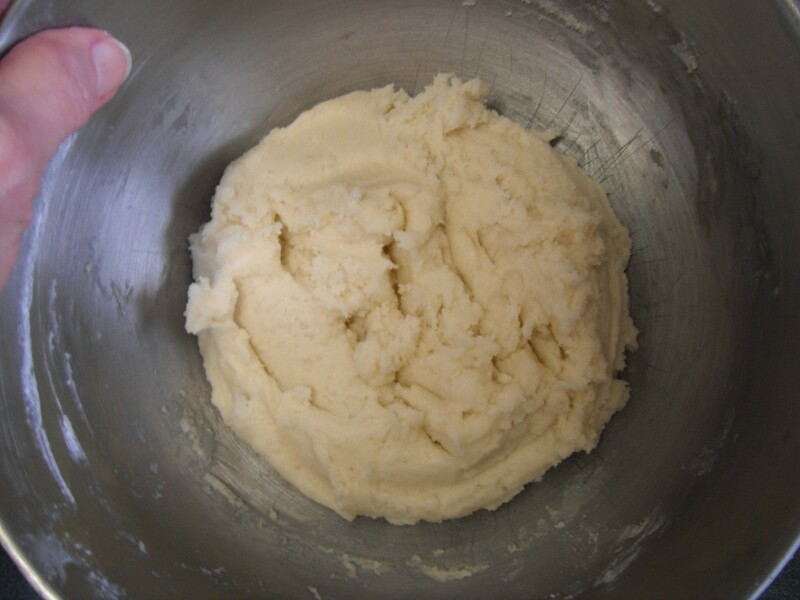 The dough will be soft and sticky. 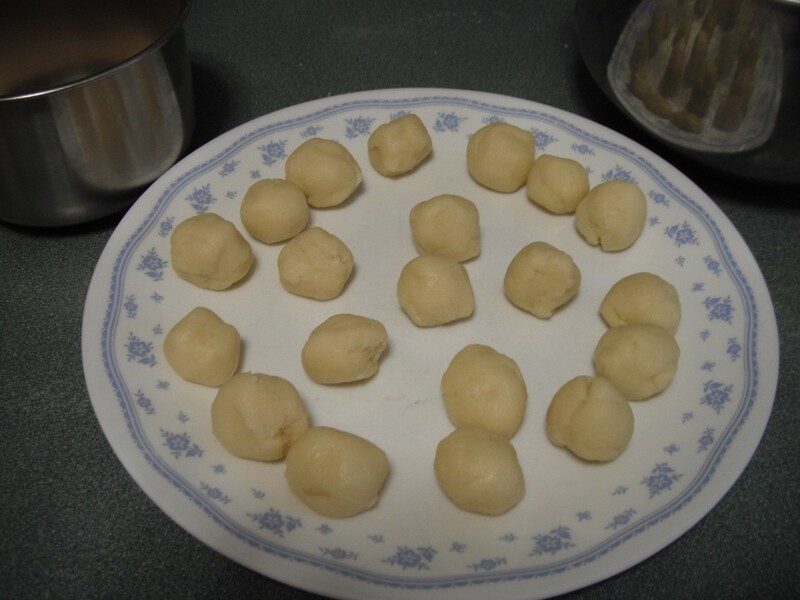 Refrigerate for approximately 1 hour. Preheat oven to 400 degrees F. Preheat cookie sheet while oven is preheating. 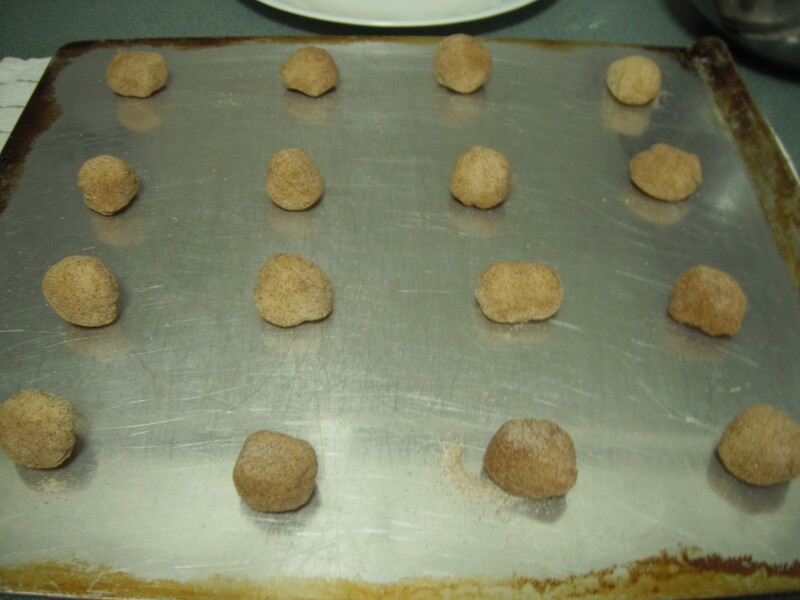 Roll each ball in sugar and cinnamon mixture. Place 2 inches apart on ungreased insulated cookie sheet. 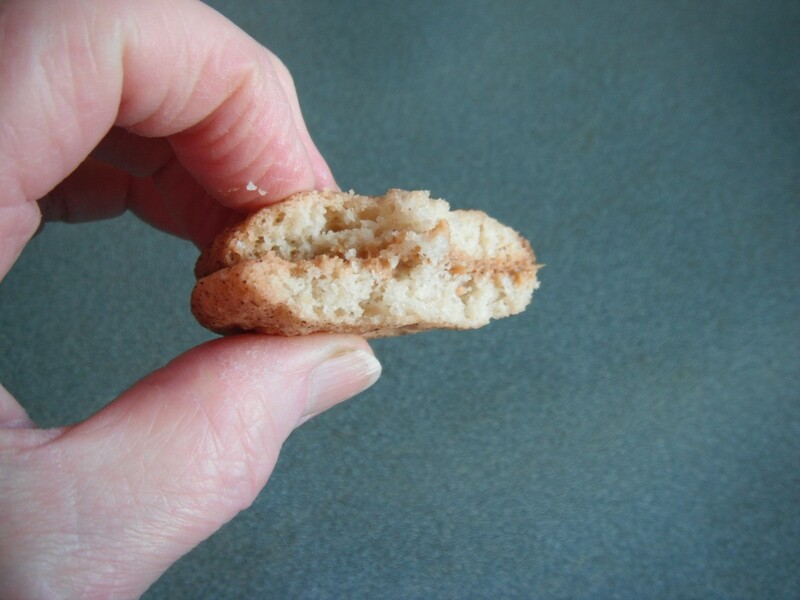 Immediately remove from baking sheet with a spatula and place on a cooling rack. When cool store in a cookie tin. They are divine!! I know I'll gain 5 pounds but I can't keep my hands out of them. I believe they are habit forming. Between my husband and myself, we have just about eaten all of them. I'll be making some more. That's great. She will love them. Have you ever tried eating a couple with peanut butter in between? I'm so glad you inspired me to look for a gluten free recipe. I have made another batch and shared some with our neighbor. No, I will have to try that. I think I've tired them with soft vanilla ice cream. Tastes pretty good! 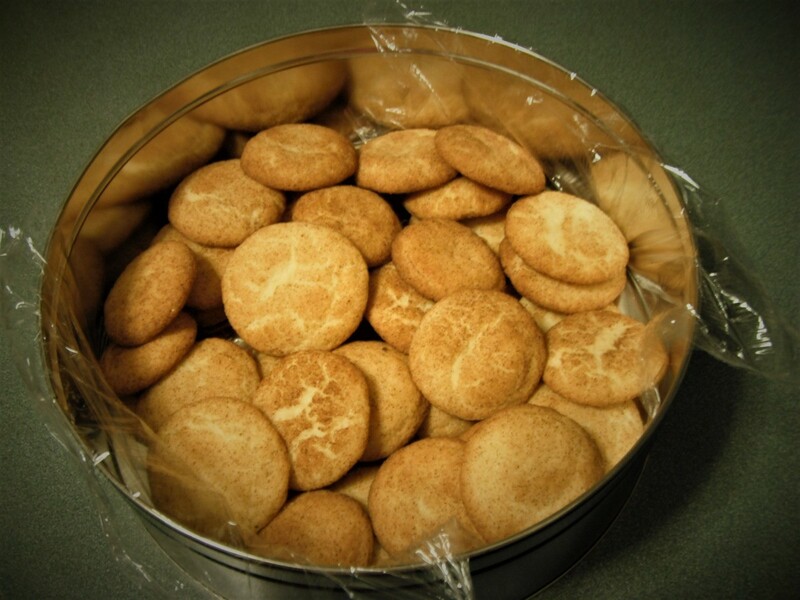 I'm going to experiment using the basic ingredients in this recipe and see if I can come up with some ginger snaps. That's another cookie I love.